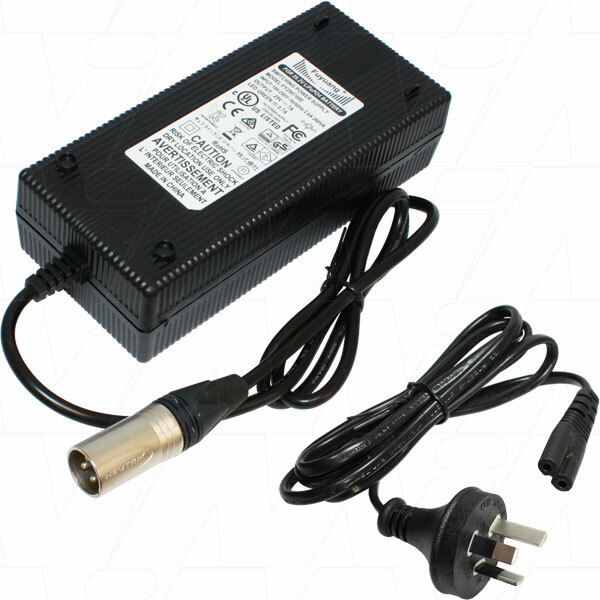 100-240VAC input lithium iron phosphate (LiFePO4) battery charger for 8 cell 29.2V packs. Output Connection: Male Neutrik Plug NC3MX XLR, 1.0m 18AWG lead. NOTE: For indoor use only.